This is sooo amazing! I. Must. Resist. The. Calling. Of. Da. Boyz. still looking awesome. Would love to see more of the necron flier. 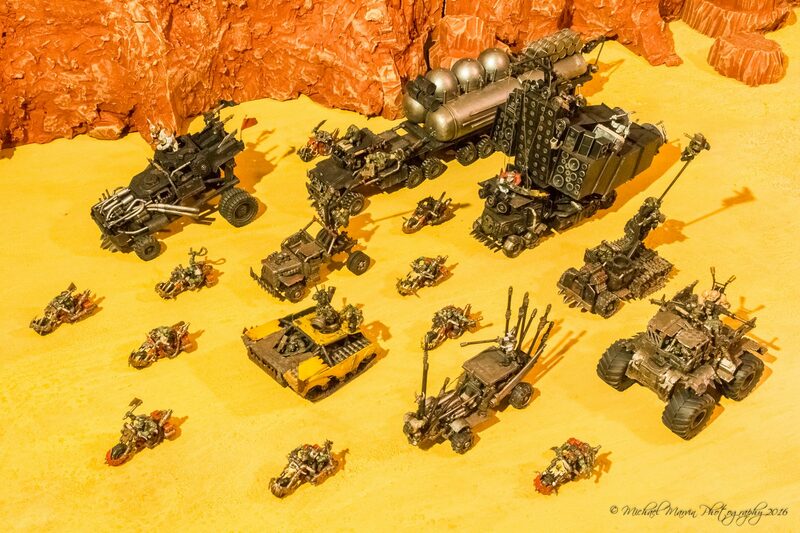 you know what's funny is that I have what I believe is enough bitz to do this same army and I've always wanted to do a mad max themed ork force, but you've done such a great job with these guys, that need has now dispersed. thank you. Aaaahh! I salute your half-life warboy Greenskins! They will ride shiny and chrome to the Gates of Valhalla! Witness!